GENG (USA) album cover for Purple Pedigree Tapes. 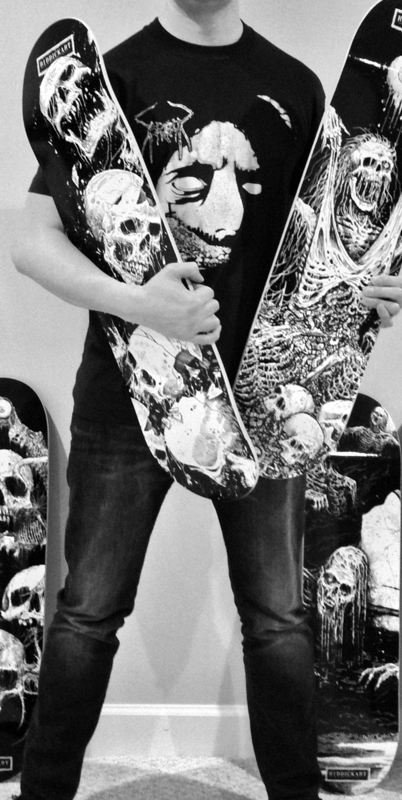 BOARDPUSHER, the vendor I use for the Riddickart skateboard series, was kind enough to conduct an interview with me. Check out their services…highly recommended for other artists or even bands. 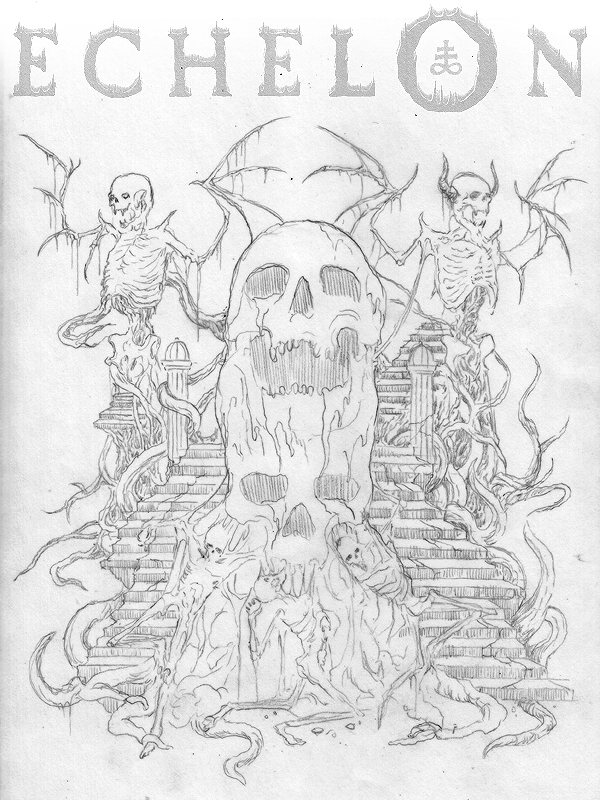 T-Shirt sketch for ECHELON (UK/Sweden); featuring members of BOLT THROWER (UK) and PAGANIZER (Sweden)! Shirts will be available from Transcending Obscurity (India). Cover and T-Shirt illustration for ARTOLINGA Fanzine (Mexico). 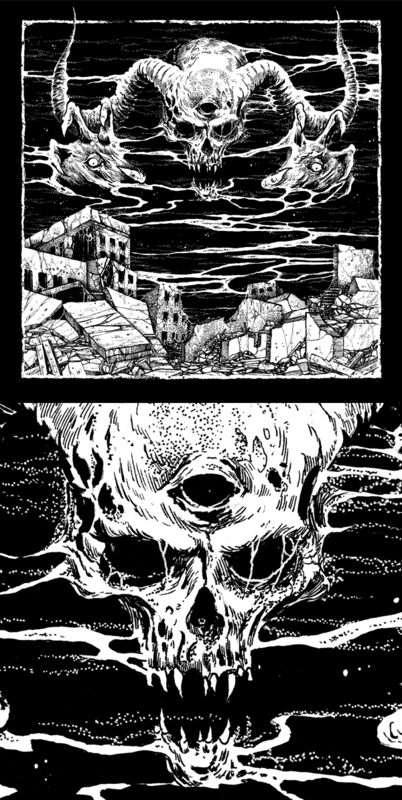 Features myself and other artists like Christophe Szpajdel and Sickness666. Also check out the editor’s excellent bands: VOMIT CHURCH and GOAT SKULL. 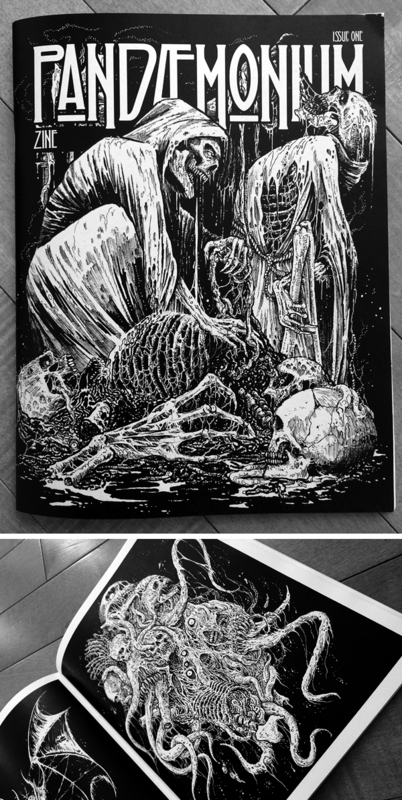 I’m honored to see that one of my illustrations (for SKELETAL REMAINS) made it on the front cover of the debut of PANDEMONIUM ‘ZINE (USA). 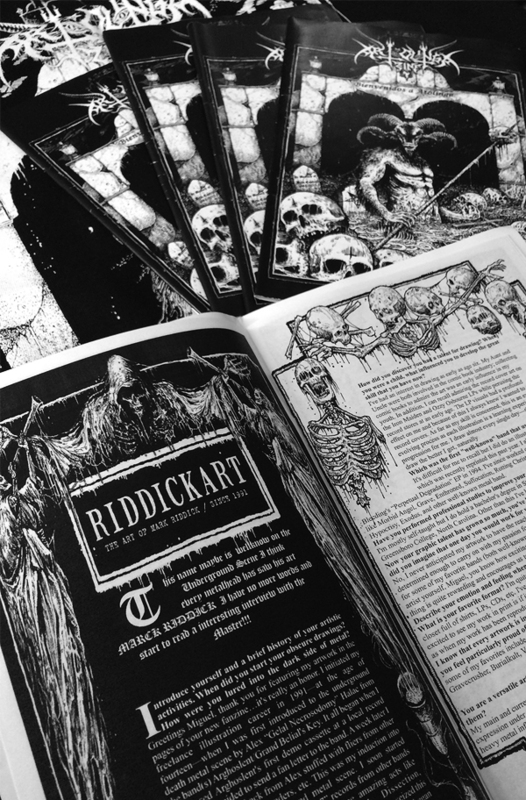 This is published in fanzine format and showcases the work of over thirty artists, including some of my favorites: Daniel Shaw, Sam Mills, and Brandon Herrera, etc. Published by Out of Step Books.